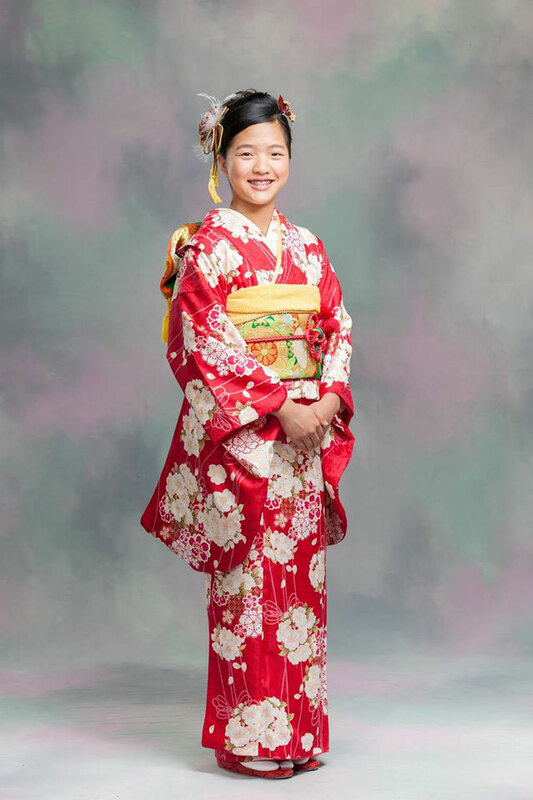 Enjoy dressing in traditional Japanese Kimono in celebration of your special days. 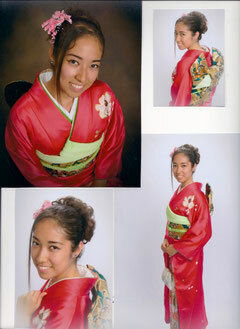 Yuko Niwa, a Kimono dresser, is commited to supporting you create beautiful memories. Click here to find out about services and pricing. Please check out Japanese celebration events listed below. "Shichi-go-san", which means "Seven-Five-Three," is the most popular children's ceremony in Japan taken place on November 15th. Girls of age three and seven and boys of age five are celebrated on Shichi-go-san. Children go to the shrine with their parents and prayed for their good health and growth. After the shrine visit, the children get long candies called Chitose-ame, Chitose means "one thousand years." The candy packages are decorated with turtles and cranes, all symbolizing long life. Three year old girls wear a kimono with a hifu coat, which fits comfortable for little ones. 7 year old girls wear their first Obi belt and 5 years boys wear their haori jacket and hakama pants. In Jusan (13) - mairi, children who turn 13 years old should visit a temple between March 13th and May 13th to receive wisdom and good fortune. It is also called Chie-mairi. Chie means wisdom, mairi means visit in Japanese. The tradition says that, on the way back from the temple visit, if you turn back to face the temple before you cross the togetsu bridge, you will lose the wisdom you just received. If you don’t turn back, you will be blessed with wisdom. This is also intended to teache children to never break their promises. Jusan-Mairi is popular in Kyoto and Osaka areas. Girls wear their first furisode which is colorful and has long sleeves. Boys wear haori jackets and hakama pants. Some boys wear a suit or middle school uniform. Young people wear Kimono and Hakama for their college graduation. Also some teachers wear those traditional dresses on their students' graduation. Hakama is a common uniform for female college students from Meiji to early Shouwa period, between 1880-1930 and they've managed to linger on until now as graduation wear. The original hakama was designed in plain brown or purple, but nowadays there are many colors of Hakama and they are decorative. 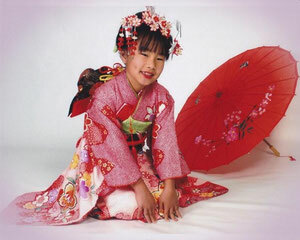 Wearing hakama is also getting popular for elementary graduation and even preschool graduation. Coming of age ceremonies (Seijin-shiki) are held for all young adults who turned or will turn 20 between April 1 of the previous year and March 31 of the current one. 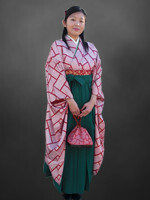 Many women celebrate this day by wearing a furisode kimono with long sleeves that drape down. Since most are unable to put on a kimono by themselves,They often choose to visit a beauty salon to dress and set their hair. A full set of formal clothing is expensive so it is sometimes borrowed from a relative or rented. Men also wear a traditional kimono with a hakama but nowadays many men choose to wear formal Western clothes such as a suit and tie. After the ceremony, the young adults often celebrate by going to parties or going out drinking. The celebration of one's coming of age reflects their expanded rights and increased responsibilities as new adults.